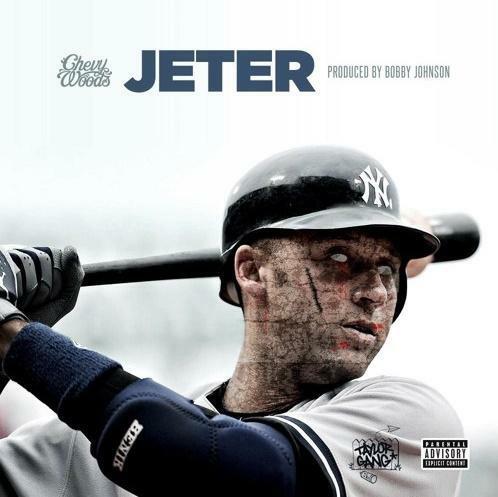 Taylor Gang's Chevy Woods raps over a fiery Bobby Johnson beat on "Jeter." Despite hailing from Pittsburgh, Taylor Gang's Chevy Woods chose Derek Jeter as the inspiration for his latest track. Jeter is actually a pretty good analog to the rap dream -- franchise player, making a ton of money, sleeping with models, making hits. You can see why he didn't call this track "Jason Kendall." Anyways, Woods knows some killers out in Brooklyn with the Yankee fitted, and he lets us know as much over a fiery trap beat from Bobby Johnson. This beat is actually incredible, would like to see what other rappers could do with it. Chevy held it down though, delivering one of his better performances in recent memory, using such legends as Mickey Mantle as metaphors for his own exploits in the trap.